1. Cook spaghetti according to pack instructions. Meanwhile, heat the oil in a large pan over medium heat. Stir in the artichokes and cook 3 minutes. Add the garlic and cook another 3 minutes. Add the cream cheese, lemon juice and zest and basil and combine well. Once pasta is semi-tender, add to pan mixture with tongs to continue cooking, adding about 1/3 to 1/2 cup of cooking water to pan. 2. Cook an additional 4-5 minutes until heated through. 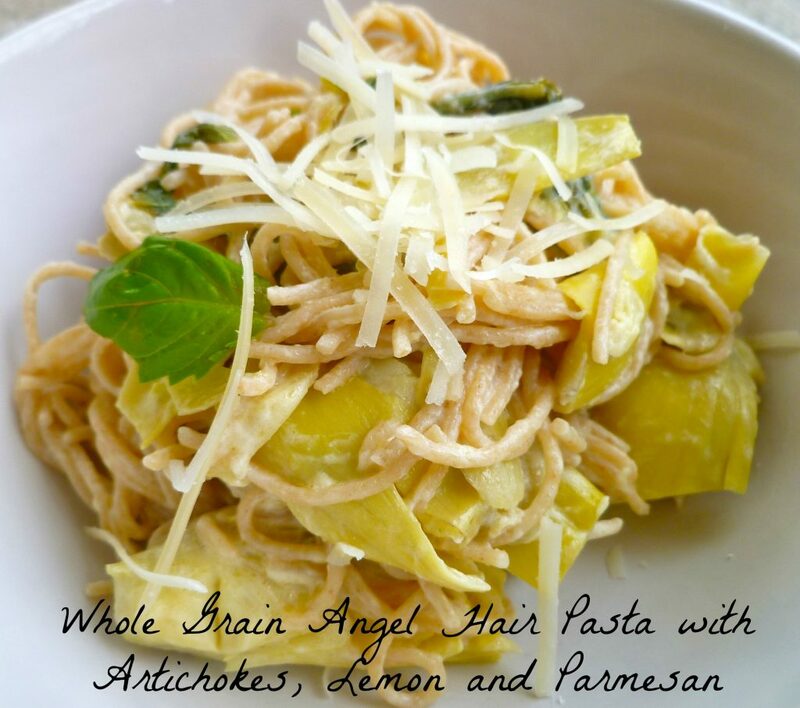 Top with one tablespoon of Parmesan per serving.